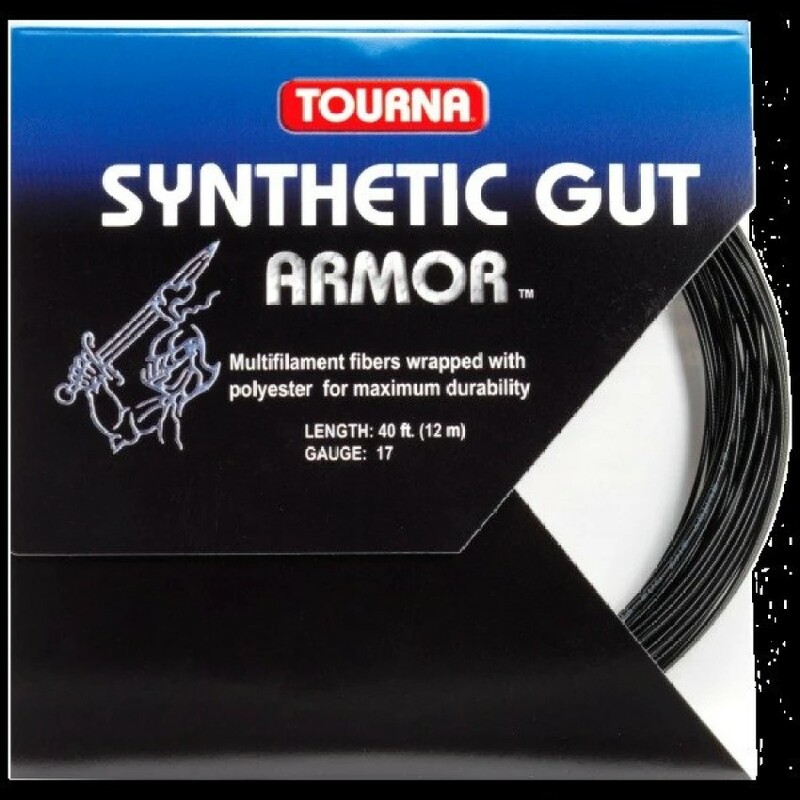 TOURNA SYNTHETIC GUT ARMOR. 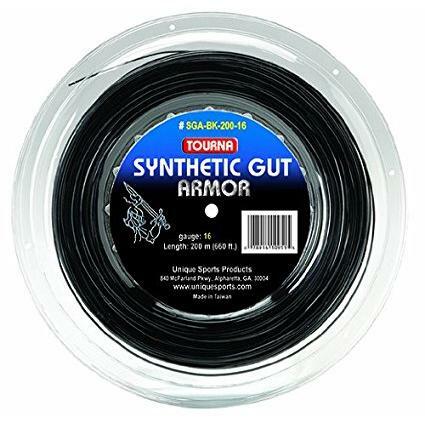 Synthetic Gut Armor is designed for maximum playability and durability at a reasonable price. Multifillament fibers are wrapped around a high tenacity center core. Durable polyester wraps reinforce the core and internal resin allows for greater elasticity to give a player a Gut-like feel. Great for hybriding with co-poly strings. ? 16g & 17g, 40? sets and 660? reels. Black color.